Got Your Continuing Education Credits Planned for 2019? No matter when you’re listening to this episode, continuing education and rejuvenation is always timely. As we record at the beginning of February though it’s a time when fitness pros are looking at annual con-ed budgets and live conferences, continuing education, combining get-aways with business building and that brings me to my guest today.Before we dive in.. today’s episode is brought to you by the Flipping 50 Specialist program, training fitness pros and health coaches to be experts at hormone balancing exercise prescription especially for women in peri-menopause, menopause, and long after menopause. Janice Jaicks is the founder and creator of FitnessFest Conference and Expo, AquaCon, Spring Cleaning for the Soul Retreat, and Desert Swim School. Janice has been teaching swim lessons and water fitness since 1985. She has trained hundreds of instructors in the field of water exercise all over the country. 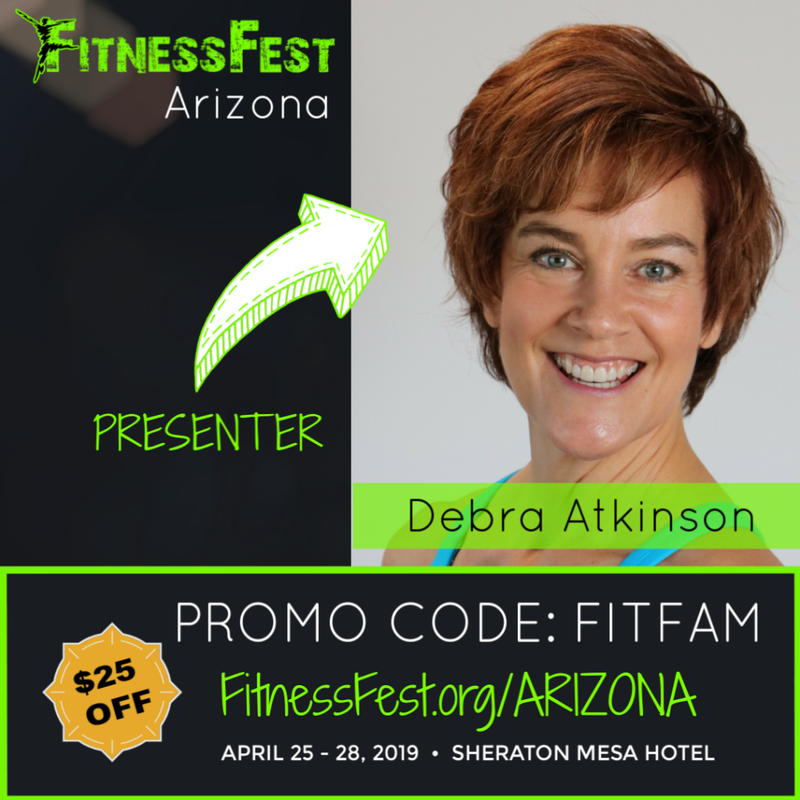 FitnessFest is a continuing education conference for fitness professionals and has been serving fitness and health pros with events in the Southwest since 1998. In 2018, FitnessFest added four new cities to its schedule (in conjunction with TheFitExpo). FitnessFest has worked with several Native American communities and their diabetes prevention and treatment projects for the past six years. This woman is on the move as a leader in the fitness industry. Like a handful of other amazing female fitness leaders identifying a need and then taking it on as a personal responsibility… I brought her in because I’m involved as a presenter at FitnessFest in April. This event is truly a jewel. It’s big, the offerings and sessions (we dive into here) and the customer service is big… but the feel is small… they know me, and I think you too will love it and so without further delay… Janice Jaicks! Why do you do this? You’ve added 4 new cities… when many others might be looking to retire, you’re recharging! (which is the FLIPPING 50 Philosophy) …what’s lighting your fire? What sets FitnessFest apart from other conferences? What are the dates and location and what do you have lined up for this April’s event? What are the most popular continuing education workshops at your event? Are there tracks to deep dive as well as the option to get a broader experience? Host Hotel: Sheraton Mesa – Save your room now! Get your continuing education live and get rejuvenated too!